Are you trying to stay dry on a wet, rainy wedding day or aching to create amazing backgrounds for those whimsical photos? Do you wish to make your wedding the most bright sunny affair under the sun? 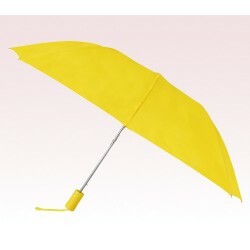 Perhaps you should seriously consider any of these appealing custom wedding umbrellas. Couples opting for outdoor weddings than traditional church weddings usually prefer these colorful personalized wedding umbrellas because they add color to the celebration. 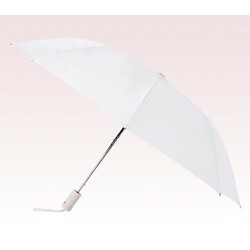 Bridal shower umbrellas such as custom wedding parasols have been around for a very long time and have become indispensable bright symbols of a wedding culture. 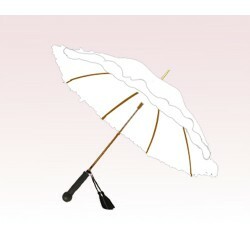 These parasols make a great wedding favor or as a table decoration or cake topper. At US Umbrellas, we have organized a brilliant collection of colorful wedding custom umbrellas in a multitude of bright colors, shapes and budget sizes. 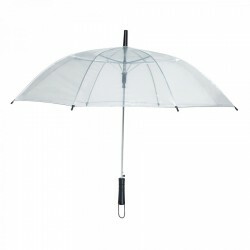 Here we have tried to offer an umbrella for everyone attending your wedding and bearing unique style, classiness and some eyeball grabbing designs. 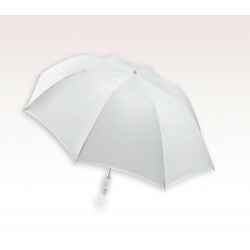 Couples can choose from typical personalized wedding parasols to regular super slim umbrellas in the colors gray or white or clear-canopied umbrellas and different wedding party umbrellas. Although these umbrellas are specifically utilized for weddings or engagement ceremonies, they make impressions during a christening or summer/spring party. This collection features reliable and lasting wedding favors regularly sought by couples and their families.They give it as a gift to acknowledge or thank the guests for making it to their wedding party. These wedding umbrellas have been proven to add life to the festivities because of its bright color and large canopies. 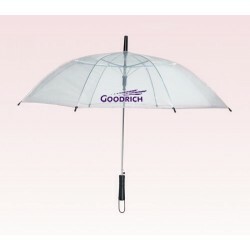 These umbrellas are perfect for any outdoor wedding, especially during summer or spring because people make use of it. When offered as a wedding favor, people would be happy to retain it even after the celebration. If you do not find a wedding umbrella of your dreams within this collection, feel free to contact us at 888-254-5290 or email us at info@usumbrellas.com.